Volume 4, Edition 35 Trouble loading? View this email online. 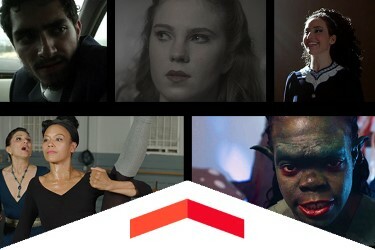 CSUN students, faculty and alumni are invited to explore five cinematic stories and preview the talents of the next generation of filmmakers at CSUN’s s 27th annual Senior Film Showcase at the Academy of Motion Picture Arts and Sciences on May 3. 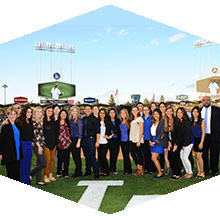 CSUN physical therapy students who were recipients of scholarships from a partnership between the Los Angeles Dodgers Foundation and the Roy and Roxie Campanella Foundation were recognized on the field at Dodger Stadium in a pregame ceremony. The College of Engineering and Computer Science hosted the eighth annual Senior Design Project Showcase, which featured student projects such as an automatic wheelchair, a concrete canoe and an electric bicycle. Sun, April 30, 1 p.m.
Fresh off a three-game sweep of UC Riverside that saw them score 23 runs, the Matadors look to keep their bats hot against Hawaii in one of the final home games of the season. 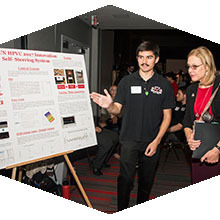 Tues, May 2, 3 p.m.
RSVP for the finals of this year’s competition, featuring the student teams for Germ 3 Solutions, MyGymPals, Omnigreen, Sleepyhead and Tint, as they promote their business plans to launch their entrepreneurial ventures in CSUN’s version of Shark Tank. The 2016 winner Vibe Probiotics took home $25,000 to invest in its business. Sun, May 7, 6 p.m.
TRENDS, a collaborative effort between the Fashion Show Production class in Family and Consumer Sciences’ Apparel Design and Merchandising program, and graduating student designers, will feature senior designers and pattern-making students presenting their best work. CSUN Athletics would like to invite young people grades K-8 to attend this unique event to blend lessons of sports with life skills at the third annual All Sports Day. Each clinic will be taught by student-athletes and supervised by CSUN coaches. This free event will be from 9 a.m. to 1 p.m. Hear from CSUN alumni panelists Paul Jennings, Gary Leff, Armen Haroutunian, Caryn Karpel and Real Estate Center Director Hilary Goldberg, as they discuss The Hustle, and what it takes to be successful in both real estate and entrepreneurship at the launch of the newly chartered CSUN Real Estate Center. The event will take place from 6 to 9 p.m. in the USU. The annual Explore CSUN event gave newly admitted students the opportunity to tour the campus, talk with current students and get information about campus resources. After a sold-out production at Carnegie Hall, Silent No More comes to the Little Theatre for an inspiring, emotional and educational evening, as individuals with hearing loss share their powerful life stories. A Q&A featuring star Kathy Buckley and the rest of the cast follows the performance.